Senator Elizabeth who? 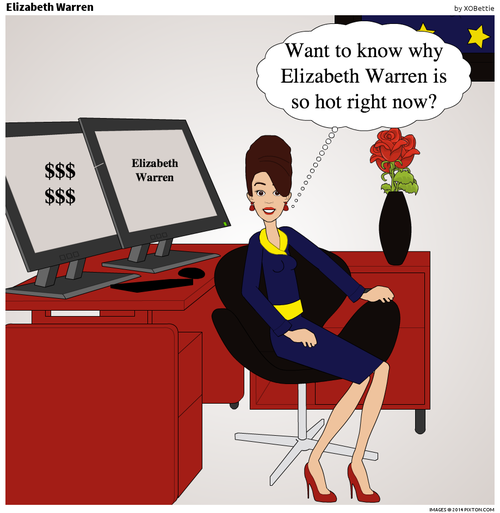 Senator Elizabeth Warren of Massachusetts is the hottest politician [sizzle] in the country, but many claim not to know a lot about her. Winner of the “Betty Crocker Homemaker of Tomorrow” award turned consumer finance expert, Sen. Elizabeth Warren has a bone to pick with Wall Street. She is a champion of middle class families and their financial well being. She proposed the creation of the Consumer Financial Protection Bureau…only to be passed over when the bureau director was chosen. She rebounded by becoming a Senator. Her recent priorities have been to reinstate the Glass-Steagall Act in the 21st century and fix the government’s broken student loan system. Let’s just say, Wall Street shudders when it thinks of the possibility of President Elizabeth Warren in 2016.